Dentaworks dental examination tools allows you to remove plaque and tartar easily at home. 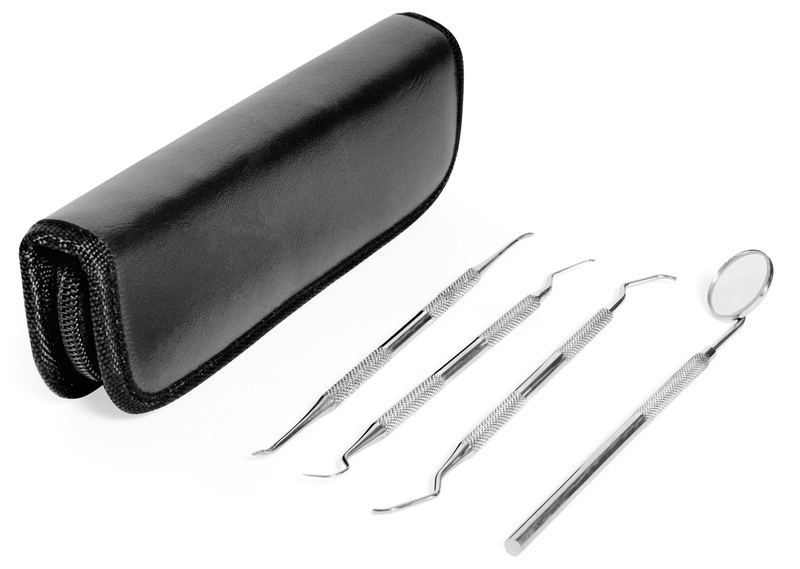 The dental instruments are made of stainless steel and the kit includes everything you need to take care of your teeth. The mouth mirror consists anti-fog glass. Dentaworks dental tools comes in a convenient case so you can carry them with you when traveling.